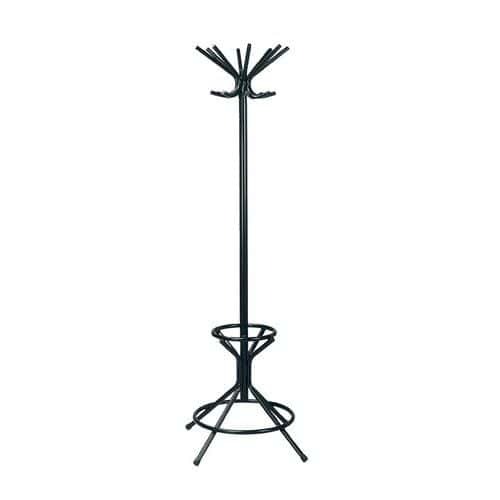 Strong steel coat stand with a rotating top. 8 coat hooks and 8 hat hooks. Fitted with a umbrella holder. A traditional style robust coat stand with varying length hooks.